This is the second installment in The Green Brush series sponsored by Silly Farm Supplies. Marketing and Business tips and tricks by Heather Green. Heather is the CEO and Owner of Silly Farm Supplies, an international supplies shop for face and body art. Heather is also the co-producer for the Face and Body Art International Convention. In this segment of The Green Brush I will show you how to get into the Marketing Mind frame. I breakdown the FREE steps to marketing your business and introduce the 4 P’s which I will explain in detail in future segments. Marketing and Sales are not synonymous, they compliment each other,. You don’t have to fear marketing your business. Marketing is relationship building. 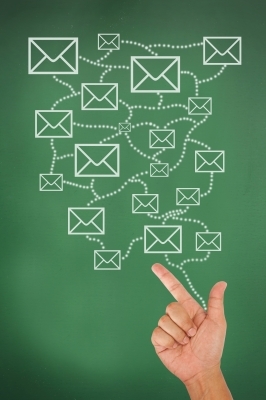 Marketing is taking the time to get to know how you can best service your clients. 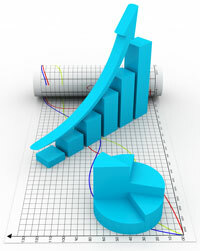 I will guide you on how to achieve effective marketing campaigns. I urge you to choose a soundtrack that gets you motivated; to get in a working mode and pursue new business avenues. I also explain sources of free marketing including grass roots campaigns and getting yourself organized to be able to effectively follow up leads. I have created a “Follow Up Form” for you to download and use free of charge. My goal with this form is to help you keep better records, so that you can keep in touch with your customers and build better relationships. I am focused on helping you create and build a business you are proud of. 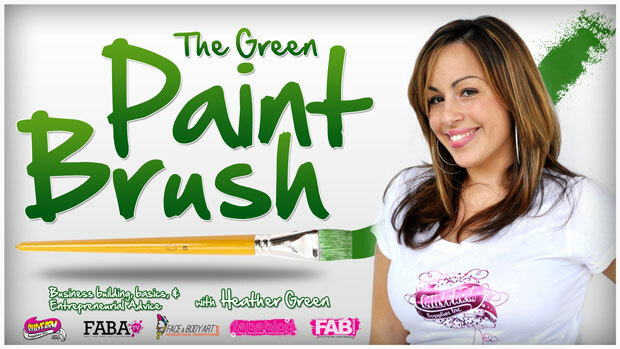 I hope you enjoy this segment of The Green Brush and I encourage you to share your ideas, stories and business successes. Please leave me a comment with your ideas or questions and don’t forget to like and share this article with your friends! By no means do I assert that I am no longer “budding” – I remain deeply entrenched in my fledgling status – but I would like to share with you some words that have stuck with me in this journey. Some pearls of wisdom fall on deaf ears, but some seem to ring loudly just when we need them. These are the ear-piercing bits, the ones that resonated with me and shaped my outlook on business. This was the mantra of my first boyfriend’s dad, which he gave me a solid lecture on during freshman year of High School. Climb towards your goals with all the tenacity you can muster, and you’ll be able to coast on your successes later. The longer I adhered to this, the more obvious it became that the people who work so fervently towards their aspirations don’t actually intend on ever stopping to “coast”, but the point was that success grows exponentially, and hard working people tend to get swept into wonderful opportunities. I’ve always had a penchant for business, starting around 14 years old. The first business I opened was for a clothing line, and I asked some close friends and family for assistance with seed money. Turns out that banks aren’t keen on giving 14 year olds loans. Claire wrote me a check for $500; I was astonished that one person was willing to fork over that much to my measly operation. The quote above was her response, and it was profound for me to consider. It made me realize that if she had so much faith in me, I should too. I assumed it was impractical to aim high, but who’s to say that you won’t end up at the top of the food chain one day? Dan is a tech savvy fellow who completely redesigned the way I look at business from both an internal and external perspective. His main focus was to automate, streamline, and simplify as many aspects of his business as possible. I didn’t realize how much energy I was expending towards menial tasks; now I operate with automated email templates, payment systems, databases, and have more time to devote to core functions. Dan also made killer sales pitches and owned the room when he walked in, which would be especially impressive if you could see how mousy and young he looked. I’ve done my best to assimilate his well-dressed confidence into my own life, and started making a point of surrounding myself with other powerful people who I could learn from by example. This quote was part of a longer, and very insightful article that I highly recommend. I briefly worked retail sales, and it was certainly not my forte. I refused to harass passer-bys, felt awkward during my sales pitch, and not even a commission bonus could convince me to do cold calls. But when you run your own business, you’re head of the sales department. And marketing department. And secretary. Embrace it! Find ways to promote yourself that are within your comfort zone, but also make a point of stepping outside the box from time to time. You have to become wonderful at all aspects of business, and you don’t really have much of a choice! I read this on a website while researching investors, and it was like that missile hit my brain. BOOM. My days of running a business tentatively were over. With renewed determination, I decided all of my goals were within reach, and that my business was going to succeed because I would give everything to make it happen. On hard days, days when I’m tired or feeling burnt out, I remember this quote and it pulls me through. I’ve worked with Kim frequently over the last four years. He’s an incredibly talented artist with a big smile and a bounce in his step. He’s worked for DC Comics and is currently teaching at the Joe Kubert School of Graphic Arts and Cartooning in Dover, NJ. He’s spouted off this saying to students for at least the few years, and it seems to have done well by him. Remember that whatever your current business venture is, that you’re in it because you love it. That’s ultimately the end game here – to do so much of what we love that people start to pay us for it. The money is great, but the art is better. Keep on keepin’ on, friends!